If you are a fan of TV, the chances are you won’t find a more useful app than Kodi. You might know this media player as XBMC, which is its former name. The software is open-source, completely free, and available across multiple platforms. Kodi has numerous features, including playing and streaming various media like TV channels, music, podcasts, and other videos. Users can completely adjust the app to their preference with numerous skins and add-ons available in both official and unofficial repositories. Before you can start customizing, you need to learn how to install Kodi on Ubuntu. The guide you are reading will also work on any Ubuntu-based Linux distro, including Elementary OS, Linux Mint, and Kubuntu. 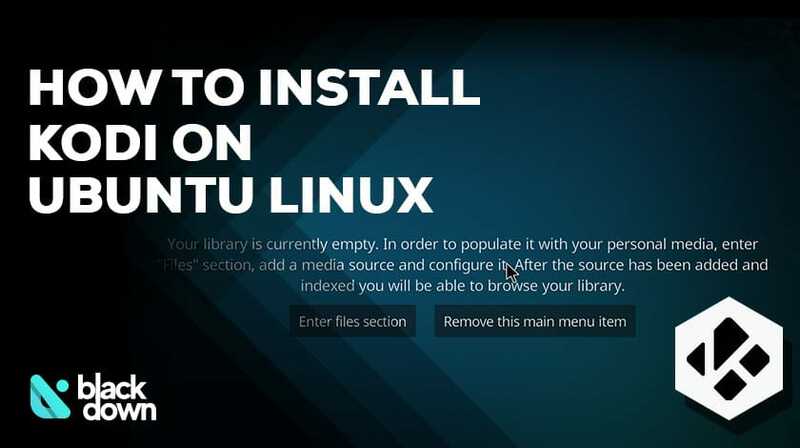 What Do You Need to Install Kodi on Ubuntu? The only thing you need is to start your terminal and make sure to be logged in as a user that has super-user privileges. Everything else will be explained during the tutorial process. You can find Kodi in the official Ubuntu repository. However, they may be a little late with updating software to the latest version. If you want to ensure that you have the newest update installed, we suggest using Kodi repositories. It may take a bit more time, but it will be worth it because you will have the latest version of the software. Please note that the system will ask you to confirm the installation. You can do so by pressing enter – the system will automatically start adding the repository. You will notice that the installation process will finish in a matter of seconds or minutes and that depends solely on your machine. That will update the package list and upgrade Kodi to the latest version. Alternatively, you can also update via the Software Update tool of your Ubuntu distro. Now that you have Kodi installed, you can run it by heading to activities and choosing the corresponding app. Alternatively, you can use the terminal and type “kodi” in the command line. Execute the command by pressing enter and Kodi will run. At first glance, the program looks like any other media player. Go ahead and explore the available options when it comes to customization. You can add media libraries and add-ons to be able to watch TV channels from all over the world. When you are done using Kodi, you can turn it off either by pressing CTRL+END or by using the turn off icon in the upper left part of the screen. Kodi is an extremely useful and reliable media player. It allows you to stream your favorite videos from the internet, as well as watch TV channels from around the world, although you need to configure it properly for that feature. Kodi is free, and there is no reason not to give it a chance to see why it is one of the most popular media players among Linux users.